While at TechEd, I noticed one or two of the speakers had a different setup with UAC. When the UAC was activated their screen would not flicker and go black, instead just the UAC dialog would appear. I like UAC, I think its important when an admin action is about to be executed and I like the way applications now work without administration permissions being required. However, I do find the flicking annoying. A quick search on Google, I found that it’s secure desktop which causes the flicking to occur, or should I say is the reason why the flicker occurs. 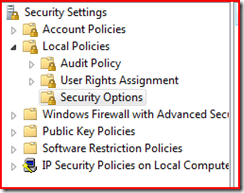 Secure desktop only allows trusted processes running as SYSTEM to be executed It has been explained in more detail here. However, this does make your system less secure as part of making UAC secure is the secure desktop which blocks malicious applications running. By removing this layer, you are opening your system up to attack. In one of the talks at TechEd, Michael Howard said how important the different layers are within Vista security. But, if this stops you turning off UAC completely, then its a good thing. 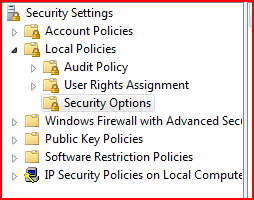 To disable secure desktop, load the Local Security Policy (type it in the start menu) and under Local Policies > Security Options there is an option to disable “Switch to the secure desktop when prompting for elevation”. You will now have a very different UAC experience.